Are you being investigated for a crime in Burbank, California? While it may not seem like a big deal to speak to a Burbank Police Detective without the assistance of an attorney, any investigation report is generally referred to the local prosecutor's office for consideration of criminal charges. The pre-filing investigation stage is when police gather information about a criminal allegation, to determine whether a crime has occurred. Once the detective collects sufficient statements from the involved persons, the reports are then provided to the Prosecutor's Office to determine whether charges should be filed. Thus, there is generally a short period of time for an attorney to effectively intervene in an investigation. If you are accused of a crime, you need immediate help from the attorney who understands the local system, as well as options on how best to move forward. Your first call should be to George Kita. 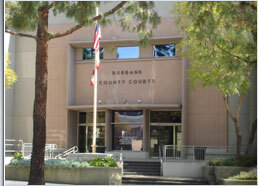 Mr. Kita has handled 100s of cases in Burbank and Burbank Criminal Court. He is familiar with the Burbank Police investigation process, as well as the Burbank City Prosecutor's Office filing procedures, and can intervene on your behalf, taking steps to protect your rights. Find out what Attorney George Kita can do for you, now, at 818-536-3630! If you are under investigation by the Burbank Police Department, it is extremely important to promptly obtain an attorney to represent your interests. Anything you say or do during a police investigation can be used against you at court. Even an honest mistake can result in a criminal charge. Mr. Kita can take proactive steps to protect your rights, prevent inappropriate police interrogations, and speak to law enforcement on your behalf, before charges are filed. George Kita believes that early intervention can be critical to guide cases in a more positive direction, giving him an opportunity to present his client's perspective. He has helped many clients accused of crimes, and makes efforts to steer cases away from the justice process, whenever possible. He offers a free initial consultation to people currently under investigation. Let him determine the best options for you! Are you under investigation for a crime in Burbank? Call now, at 818-536-3630! *Outcomes depend on specific case facts and laws.